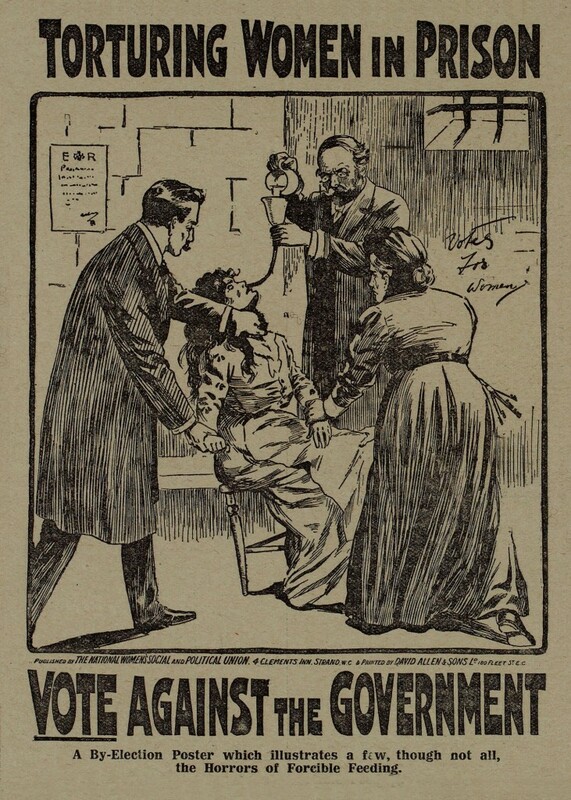 By-Election poster: ‘Torturing women in prison’, ‘Votes for Women’, 29 October 1909, p.68. One hundred years ago, on the 4th June 1913, the suffragette Emily Davison ran in front of King George V’s horse during the Derby at Epsom Racecourse to promote the ‘Votes for Women’ cause. She died four days later of her injuries. The suffragettes in Scotland were also making themselves heard and there are a number of books in the library that provide more details on this subject. The most comprehensive history is Leah Leneman’s ‘Guid Cause: the women’s suffrage movement in Scotland’ (1995) which covers the period 1867 until after World War 1 and includes a list of Scottish women who were active suffragettes. The movement was most prominent in Edinburgh, Glasgow and Dundee, but there were smaller groups of suffragettes in other parts of Scotland. Examples of relevant publications include Lynn M. Brewster’s ‘Suffrage in Stirling: the struggle for women’s votes’ (2002) and Marsali Taylor’s ‘Women’s Suffrage in Shetland’ (2010). Forcible feeding of women who were jailed was also used in Scotland. An account of this practice is given in ‘Martyrs in our Midst: Dundee, Perth and the forcible feeding of suffragettes’ by Leah Leneman (1993). This book provides detailed reports of the experiences of several women including Ethel Moorhead, Arabella Scott and Frances Gordon. The library’s schools resource A Guid Cause might also be of interest to researchers investigating the suffragettes in Scotland, with digitised original material from the library’s collections.